Search for the term “best clothes stain remover” and the search results will show that two top results on the first page are from influencer blog posts. Influencers writing about products like Tide’s stain remover are providing authenticity, credibility, and reach to brands like Proctor and Gamble. They are also changing the SEO approach businesses take towards key terms related to their brands. According to Social Media Today, it’s now easier to rank for natural language search terms. With the help of influencer marketing, you could produce credible, quality content that easily targets long-tail keywords with lower search volumes. You can get in front of your target audience without spending on costly advertising on those same keywords. How? By having your target audiences’ recognized influencers associate with your brand and site. In addition, you get the benefit of giving your SEO efforts a major boost. This is why brands in search of increased awareness and reach are strategically partnering with influencers to generate and join conversations relevant to them. So how can you leverage influencer marketing to boost your SEO and grow your business? Here are seven ways influencer marketing can boost your SEO. According to a study conducted by Moz, the quality and authority of sites that link to you are among the top search engine ranking factors. This means you’ll need to earn links from high-authority domains relevant to your site, but that’s not an easy thing to do. Chances are that the influencers you’re working have their own website or have access to high-authority sites. When these influencers create content and link to your site, you’ll get a high-quality backlink. When others see this link, they may be inclined to link to it as well, including higher-authority domains. No matter what happens, there will be an improvement to your link profile with influencer marketing. Take for example the post “The Blogging Food Groups: A Well-Balanced Diet of Content” which has over 327 links from over 91 domains. This evergreen LinkedIn post was published by Jason Miller and is relevant even today. The great infographic, data, and clear actionable steps also make it user-friendly and shareable. If a brand is telling you how cool they are, they’re not that cool. If your peers are, it sticks. The fact is, people generally don’t celebrate brands as much they do people. Building trust is time-consuming but when done right can result in the gain of a brand advocate. But, how does this help with SEO? Authentic content can improve the quality and freshness of content and can also boost the expertise, authority and trust signals which affect SEO. It also helps with acquiring a diverse set of links if a number of people are mentioning and or linking to the site and driving traffic. According to a TapInfluence survey, most influencers partnered with brands because they fit in with their own brand as opposed to the monetary compensation being offered. Given this, you would be better off using an influencer’s credibility and voice to establish a connection between their audience and your brand. How do you do this? By sharing your brand story via the influencers. With influencer marketing, authenticity is the main attribute that sets it apart from other forms of marketing. To leverage that, you will need to work with influencers to be creative and use storytelling. For example, you could use organic methods of storytelling via Instagram stories, Snapchat, Facebook Live, etc. Mercedes invited Loki the Wolf Dog, who has over a million followers, and his owner Kelly Lund, to drive a 2017 Mercedes GLS through the mountains of Crested Butte, Colorado. The car was fitted with 3D cameras to capture the footage of not just the GLS interiors but also the experience of Loki the Wolf Dog running through the snowy terrain. The #MBPhotoPass campaign was aimed at producing videos that bring the perspectives of different influencers (like Chris Coombs and Loki the Wolf Dog) on Mercedes-Benz cars. In telling this story and capturing the associated footage, the campaign captures the excitement and glamor associated with the Mercedes-Benz lifestyle and conveys the brand stories via mediums that Mercedes’s audience uses extensively. For example, on Instagram alone, Mercedes was able to generate 173 million impressions, 2.3 million likes and comments, and $4 million worth of earned media. The brand assets created continue to be used across other mediums as well. Here are three critical steps to ensuring your influencer marketing is authentic. Influencers shouldn’t be chosen purely based on their follower count. If the main aim is to create engagement, then perhaps working with micro-influencers would be a better option. Their engagement rates tend to be higher than those of major celebrities. 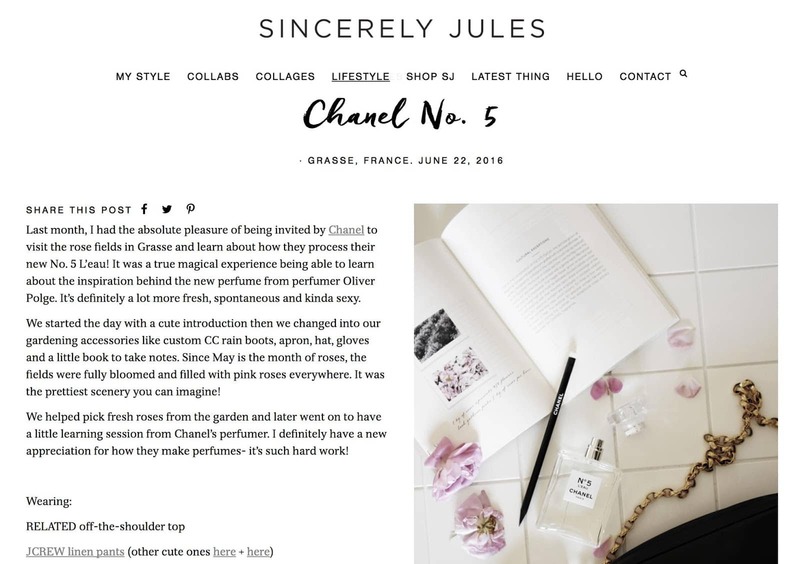 Content published just to sell a product is less likely to promote engagement with an influencer’s audience since it comes across as inauthentic. However, content that connects with the audience on an emotional level will more likely compel them to learn more about your brand. So create powerful stories behind your product, emphasize the core value through it, and convey how it resonates with your audience. As a brand, your authenticity will be displayed through the creative expression of your brand objectives, influencer’s vision, and audience connection. That said, when considering which influencers to partner with, you need to be certain that the influencer’s overall brand aligns with your brand values. Sounds cliché? Look at these #fail campaigns. Long tail keywords are a key part of any SEO campaign, in fact they account for 70% of all web searches. Influencer marketing doesn’t just have to be about using celebrities to promote your brand. You can also leverage influencers that are a good fit for long-tail keywords that you wish to target. Every influencer or celebrity will have a set of long-tail keywords that they are associated with. These could be low-competition and high-traffic keywords. Think interviews, hair tutorials, workouts, makeup lessons, etc. Content around these topics all counts toward building authority. To leverage this, a good rule of thumb is to look at long-tail SEO keywords that you’ve proven to generate search results, traffic, and conversions. You can apply the same keywords to an influencer database. For example, if you are in the cycling niche, you want to find influencers who frequently talk about “black mountain bikes with dual suspension” rather than just “black mountain bikes.” You also want to ensure that these influencers have an audience that is intently listening to them and looking for the specific long-tail phrases they use. Like other digital marketing decisions, data can only help improve your influencer marketing. So be sure to use influencer analytics to measure and collect data that each influencer has on your brand’s online presence and content engagement. Social sharing has always been a good way of improving engagement with your audience and of potentially improving your off-the-page SEO. If you have quality content, then you have a foundation on which to gain social media traction and earn more links. Social media is a great broadcast channel, and your posts, along with those of influencers, will encourage more external sites to link to your content. The more external links you have, the more authority you’ll gain in the eyes of the search engines. With a proper social media strategy in place, the aim should be to get a steady flow of shares and visitors via various platforms. These will boost your search engine ranking and get you more traffic and visibility. Tweets for example, now appear in Google’s search results in real time. Having influencers helping to fuel the sharing of your content will only increase the results you will see. Take Birchbox, for example. Birchbox is a company that provides an online subscription for beauty supplies partnered with Lifestyle blogger Emily Schuman. They asked Emily to customize one of their beauty supply boxes with products that her fans would love. Emily showed off the Birchbox to her 300,000+ fans on Instagram. In partnering, both Birchbox and Emily were exposed to a new yet relevant audience while providing them with value. So how can you maximize your social media traction and SEO when engaging in influencer marketing? Consider using hashtags to gain visibility for your initial attempts at syndication. Also, bring your content into forums and discussions where appropriate. Doing so will only improve your social reputation as an authority and maximize your chances of being linked to by other sites. Perhaps you are thinking isn’t evergreen content and unique content, the same? Yes it can be but unique content isn’t always evergreen. For example a news item is unique but not evergreen. Hence why I believe it is worth covering. But how does evergreen content help with SEO? Because it provides the quality, freshness, keywords and possibly the formats that the search engines use to evaluate content. Like the “best clothes stain remover” example at the start of the article, we need to remember that customers don’t want to hear about how great a company is. Instead, they want information or services that help with their actual needs. Let’s say that your customers were looking for a caramel cheesecake recipe. What they want to know is what products they need to get for the recipe and how to put it together. That is where influencers and brands can come together to produce evergreen content with long-lasting SEO benefits. When influencers with high-authority sites mention and link to your brand, they boost the credibility and authority of your brand for the search engines as well. In other words, in producing content that addresses real-life problems for your customers, you not only benefit from potential sales but also could rank for profitable keywords as well. 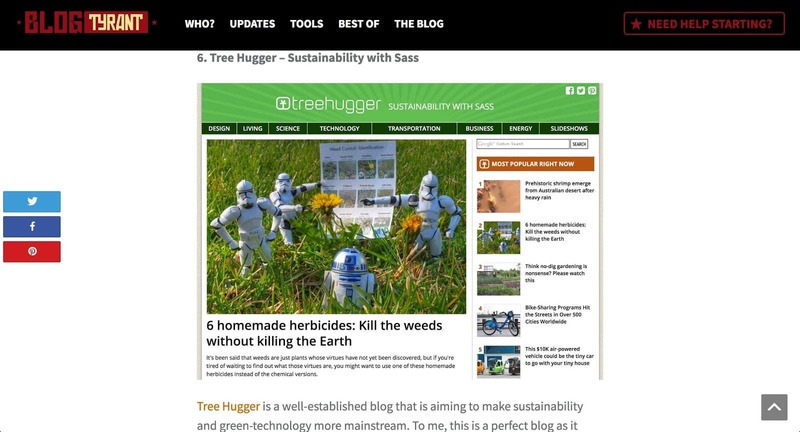 So how do brands leverage influencers for evergreen SEO content benefits? Here are a few ways you can continue to benefit long after the campaign ends. The more influencers you have associated with your campaign, the more content you’ll have out there helping connect more references to your brand and product. It also helps if influencers with large, engaged social followings promote your brand. This helps keep content fresh and interesting as well as draws new audiences. When you work with influencers whose audiences are also your target customers, their content acts as a credible endorsement of your brand. People are more likely to trust the opinions of those that they look up to or who are most like them. Influencers with engaged audiences fall into this category. When they produce content that leads their audience to your products or services, it also boosts your rankings in the search results. If your content is widely shared, potential impressions will most likely grow and might lead to a longer lifespan. In turn, it will continue to pay dividends long after the campaign has ended. Vertical results are content that shows on the search engines in areas usually devoted to images, news, local and video. Content of one or more of these types will make it more likely for it to show up within these sections of the search results page. A study by TapInfluencer and Nielsen Catalina Solutions found that influencer marketing content delivers 11x higher ROI compared to traditional forms of digital marketing. This is a compelling reason to create unique content as part of your influencer marketing apart from the fact that it is also a ranking factor for the search engines. Creating unique and fresh content is necessary. One of the best things about influencer marketing is that it puts you in touch with people who do just that. These are also people who have great success in ensuring that it captures your target audience’s attention and is engaging enough to get them to share it. In some instances, influencers also encourage their followers to share user-generated content with a branded hashtag. Tapping into this means that the volume of content can increase as well as your brand awareness. Take Chanel for example who encouraged influencers to create content in the lead-up to the launch of Chanel No. 5 L’Eau. They invited popular bloggers and instagrammers to their production facilities and flower fields in Grasse, France. Each of the influencers shared pictures and/or posts on their experiences of the tour. Figure out who influences your customers and which of those you want to target. Prioritize your list based on the impact they could have on your campaigns. Send them a personalized pitch sharing who you are, what you are looking for, and what’s in it for them. Make the process of working with you as easy as possible. Once your new content has been published, email each of your influencers to thank them for their work. Also ask them to share the content with their audience. If you are invested in content marketing, then you know that content distribution is what will make the difference for your campaign’s success. In fact, it can help you dominate a niche and become the market leader. If you don’t invest in content distribution, then your audience is not going to grow and your services and products will remain invisible to many other potential customers. Can influencer marketing SEO really affect content distribution? Influencers sharing your content can lead to a three to tenfold increase in conversion rates. Twenty percent of women will consider purchasing products supported by influencers. Influencers can also turn into brand evangelists: 77% of consumers are more likely to buy from their endorsers. 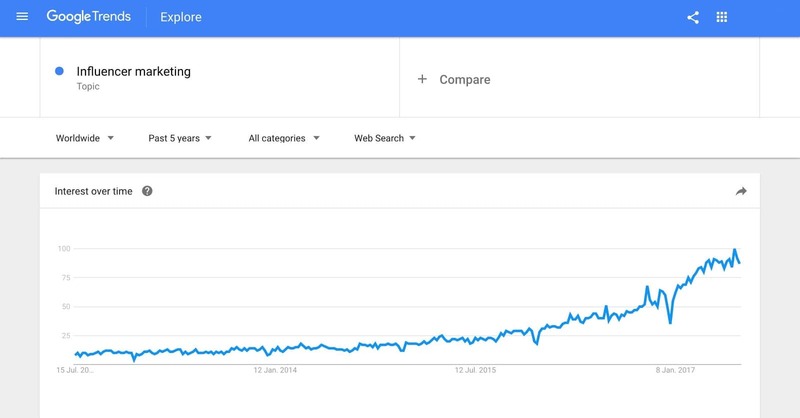 The following Google Trends graph illustrates the growth of influencer marketing over time. 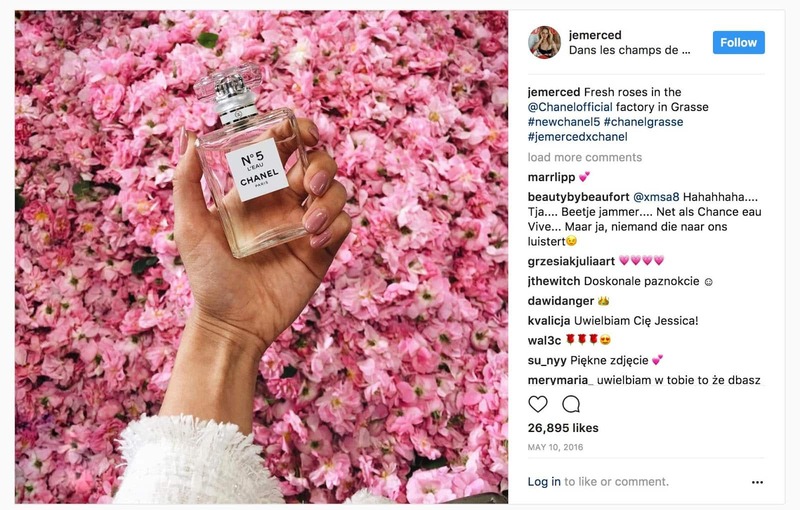 Influencers can also turn into brand evangelists: 77 percent of consumers are more likely to buy from their endorsers. While influencer marketing can help with content distribution in certain instances, it works best if you have some influence yourself. It also helps to create content that is worth the time of influential people. A great way to start is to do what Ramsay Taplin from BlogTyrant does when he creates a blog post. He simply mentions others in his posts, as he does in this post. Upon publishing, he reaches out to let them know about the link. This often leads to a mention from those influencers. An effective content distribution strategy will do more than just put your content in front of your target audience. It will also help build a relationship with them. Over time they will likely take an action like watching a video, signing up to your email list, downloading whitepapers, etc. Depending on your business objectives you can include paid and organic distribution channels. There is no one formula for content distribution. So, how do you decide on a strategy? Why do you want people to read your content? Using influencer marketing in the ways listed above will help boost your SEO. It’ll also give your brand a lift with among new audiences. However, it is important to understand that the best gains come over time and with relationships that are mutually beneficial. Approaching influencer marketing as a means of using or leveraging the influencer will only work against you. The best results will come from establishing mutually beneficial relationships based on respect. A better approach would be to ensure win-win outcomes. This way, influencers are more likely to engage and work with you more often. Why wouldn’t they? After all, you’re here to help them grow their own brand visibility and audience.